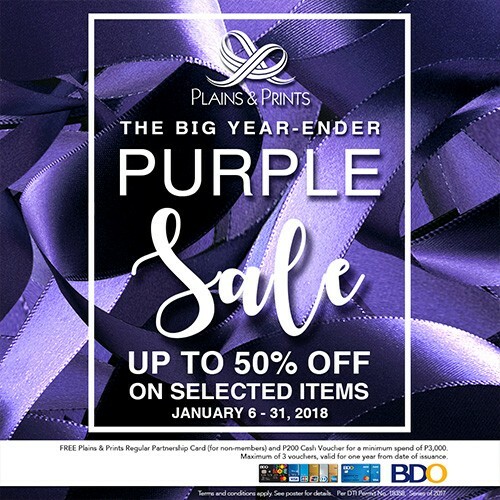 Check out Plains & Prints' The Big Year-Ender Purple SALE happening from January 6 to 31, 2017. Get up to 70% off on selected items in all Plains & Prints stores nationwide! Use your BDO debit/credit card to receive additional discount coupons and a FREE partnership card for non-cardholders! Check complete promo details HERE.